If you’re a writer, chances are you’ve heard of the National Novel Writing Month. Every November, writers of all kinds begin typing or scribbling the Great American Novel. Only this is worldwide and not necessarily American. No matter, many will begin and many will finish the 50,000 words. You’ve won when you have 50K verifiable words. There are no rules about which words are used in a winning document, that’s up to you. Enough of that. What exactly is the secret to winning? Having won NaNoWriMo three times, the secret is Planning. That’s it. Planning. Plan what? I have the answer to that, too. 1. Plan on this being a team effort. Let the people who live with you in on this endeavor. If you live in a supportive environment, this may be all you need to do. If they’re the sabotage type, maybe don’t tell them. Plan on it being an anti-team effort. Letting others know what is going on will help explain it when things slide due to you working on your word count for the day. 2.Plan ahead on errands and appointments. You’re going to have things in November that will take you away from writing. This will be true if you have 8 minutes a day or 8 hours a day to write. Be aware of days where you can’t get in enough words to goal so you’re prepared and not pressured. 3. Plan your daily word count. With 50K divided by 30, you’ll need to write 1,666 words a day minimum. If you’ve done step two, you’ll know what days will need 1,666 and which will need double that. In my three times of winning, I didn’t have a laptop. Plus, every Thanksgiving meant at least 35 hours of driving in that four day weekend. I wrote longhand what I could in the first year. The next two? I adjusted my word count so I was done with NaNoWriMo by Thanksgiving weekend. 4. Plan your Plot. Start now. Don’t wait until November 1st to think about your story. No, you can’t write a word until that day, but you can research, invent, and plot out the novel. Are you a die-hard pantser? You can still plot and pants. Just know your beginning, know your end and have some idea of the middle. Then pants to your heart’s content. Have an extensive backstory and world to create? Do it now. When November arrives, you’ll be ready to write, not research or wonder what genre to pick. 5. Plan to ignore your prior day’s work. I’d read the last page of my work, maybe let myself edit it, and used that page to get into the flow for writing the next page or hopefully several. When you’re done writing, you’re done. No going back over to edit. If you have the time to edit, you have the time to write. If you have the time to write, then write and get ahead of your goal. Why? Because no matter how well you plan ahead, things will happen. You’ll get behind or be close to doing so. Edit to your heart’s content when the clock strikes 12:00am December 1st. Write until then. Fun fact? All three of my Oregon Trail novels were NaNoWriMo winners. 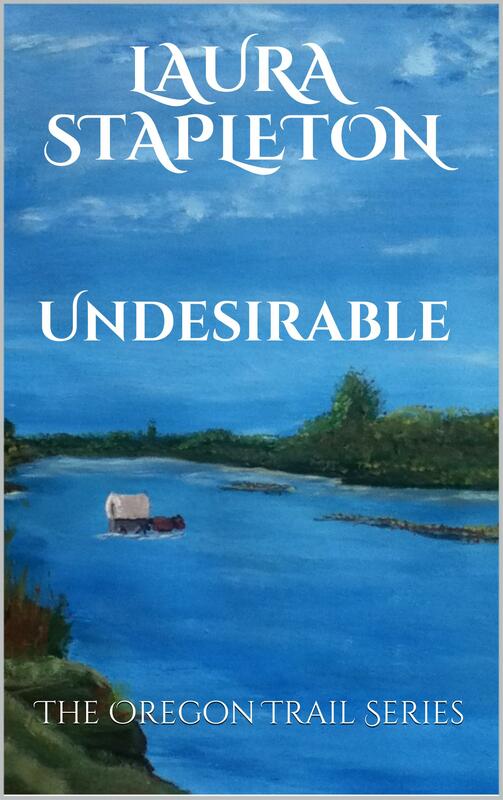 I started Undeniable in 2008 and when the hero’s brother kept taking over, I ‘promised’ the next NaNo book to him. Undesirable in 2009 is his story and wouldn’t you know? Another secondary character wouldn’t stay secondary, so I promised him his own story in 2011. I’m still writing on it, Uncivilized. These all started life as a 50K novel and needed another 50K each for the story. Want to know more about them? Click the above tab “The Oregon Trail Series” to see. This entry was posted in Plans, Uncivilized, Undeniable, Undesirable, Writerly Musings and tagged #MondayBlogs, NaNoWriMo, Plans, Secret on September 30, 2014 by lauralstapleton.